The taxi startup may have more than doubled in value since June. What controversy? 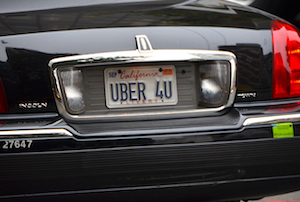 Controversies are water off Uber’s back at the moment. The disruptive private car hire startup is reportedly close to sealing a new round of funding that would value it at between $35bn-$40bn (£22.3bn-£25.5bn), less than six months after it was valued at $17bn. The five-year-old company is looking to raise at least $1bn from both new and existing investors that include T. Rowe Price Group and Fidelity Investments respectively, according to Bloomberg, which cited ‘people with knowledge of the situation’ (you’d hope they knew something wouldn’t you). Back in June, it raised $1.2bn from seven investors including Google Ventures, BlackRock and Fidelity. That would make it worth more than Twitter and LinkedIn - relatively new companies worth $25.6bn and $27.7bn respectively. It would also have a bigger market cap than all but 22 of the FTSE 100. Uber isn’t the only baby company pulling in the big bucks though - Chinese smartphone maker Xiaomi was founded in 2010 and is reportedly raising funds that would value it at $40bn-$50bn. The money will be used to fuel its speedy international expansion, Bloomberg reported. The app, which lets users hail an Uber car from their phone, has already been rolled out to 220 cities across the world, where it is upsetting regulation-swaddled taxi drivers left, right and centre. While it doesn’t disclose its financials, reports have the startup growing at 300% a year. Aside from provoking taxi lobbies, Uber has also come under fire for allegedly mistreating and misleading its drivers (or ‘partners’, as it likes to call them), avoiding UK tax and trying to put a spanner in rival Lyft’s fundraising. Last week, it emerged a senior executive had suggested digging up dirt on critical journalists, which CEO and founder Travis Kalanick hastily apologised for, while another had tracked a reporter using Uber without her permission. But investors clearly aren’t all that bothered and Uber seems to brushing the controversies off as if it was doing nothing more than swatting a fly.